Tiger Woods was the old Sunday destroyer in red, holding sole possession of the lead in a major while The Open field was going, going, gone with the wind. The contenders who were in other pairings and who saw Woods in name only, charging up the leaderboard, went tumbling down that same leaderboard as if it were a staircase. As if they were the usual suspects from Tiger’s prime. The pep talk exactly didn’t have a Knute Rockne-like effect on Spieth. 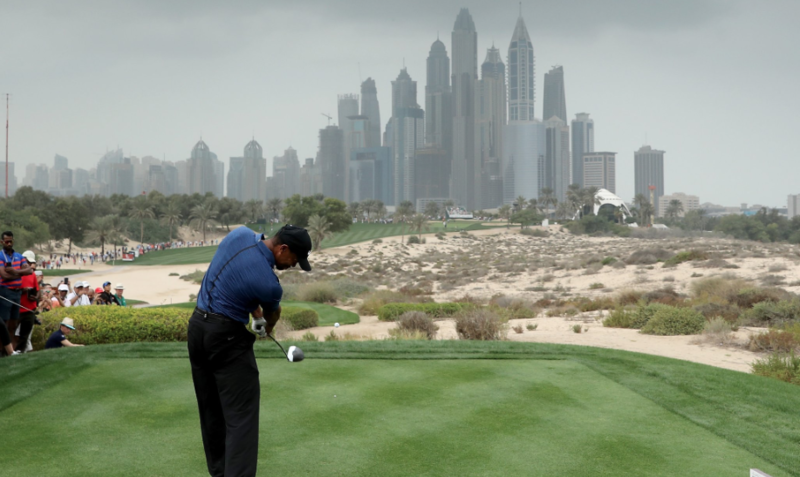 He was busy shooting a 5-over 76 while the world stopped to watch and listen as a 42-year-old Tiger roared like a lion along the rugged North Sea coast. 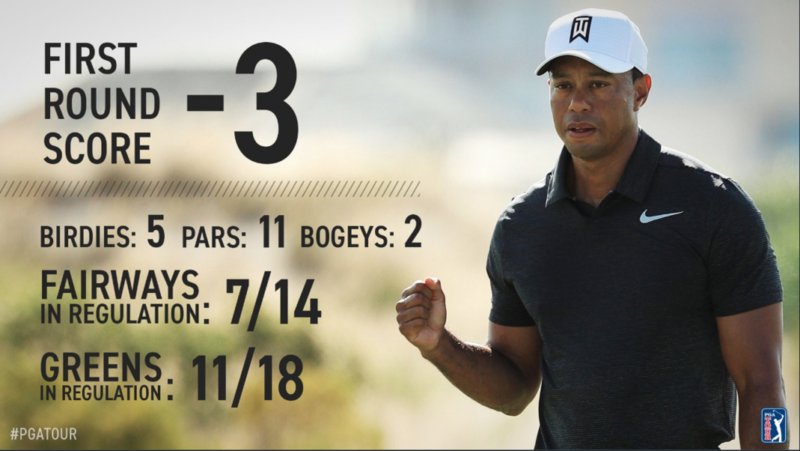 At 4:18 p.m. local time, as he played the ninth hole, Woods moved into a share of The Open lead. At 4:34 p.m., around the time he was hitting a majestic approach out of a bunker on the 10th, Woods took exclusive hold of the lead. 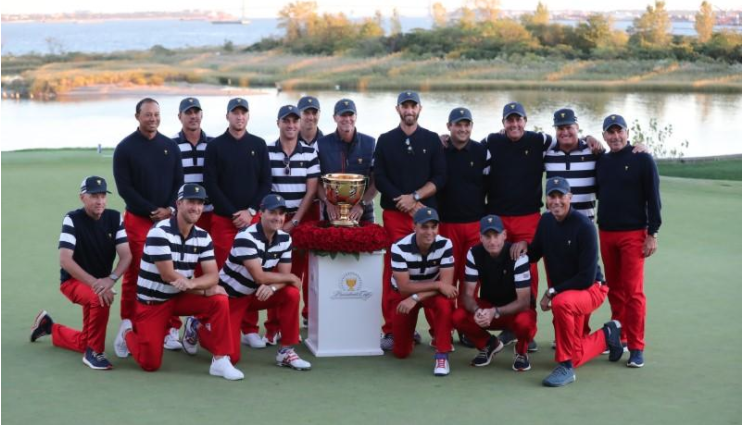 Everyone at Carnoustie wanted to believe in the magic of the moment. This was a tournament for the aged, and a story for the ages. Woods had been in so much physical pain from back injuries and multiple surgeries, he thought he would never again play competitive golf. He wondered if he would ever again enjoy a father’s spoils of rolling about with his kids, Sam and Charlie. He was a completely broken athlete, and his Memorial Day arrest in 2017 and roadside police video from hell suggested he remained a broken man, too. 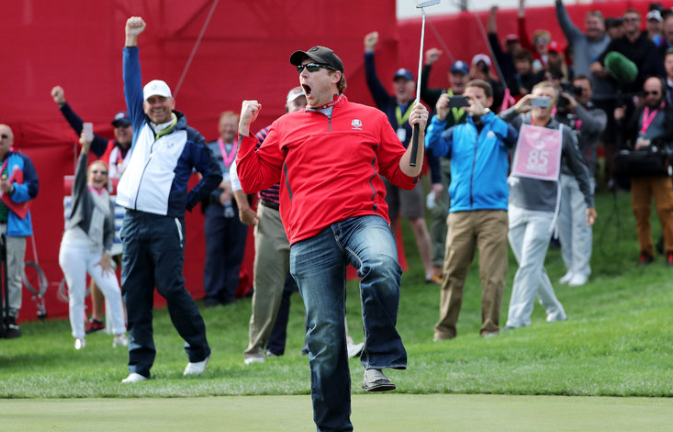 And yet here he was a little more than a year later, remarkably about to seize the Claret Jug for a fourth time. He had eight holes to cover and some inner demons and doubts to silence and defeat. Demons and doubts? Oh yeah, even a reborn Tiger, arguably the greatest of all time, wasn’t sure if he was ready to win his 15th major championship only three majors into what is likely the final comeback of his career. People around team sports talk often about a necessary progression to a championship, including postseason losses that can cut a man in half. Woods was about to take what should be the last step in that process that would hurt him as much as his devastating PGA Championship loss to Y.E. Yang in 2009, right before the public disclosures of his serial infidelity changed his life for keeps. Out of the rough on the 11th, Woods dropped his club after a swing that sent his ball wide left and into the crowd. It bounced off the right shoulder of a 50-year-old Englishman named Wayne Partridge, then smashed into the phone belonging to Colin Hauck, a 34-year-old fan from Annapolis, Maryland. Woods gave Hauck a signed glove and a handshake (nobody informed him that Partridge was also hit), and then chopped a poor wedge out of the tall grass that led to a fatal double-bogey, followed by a bogey at the 12th. 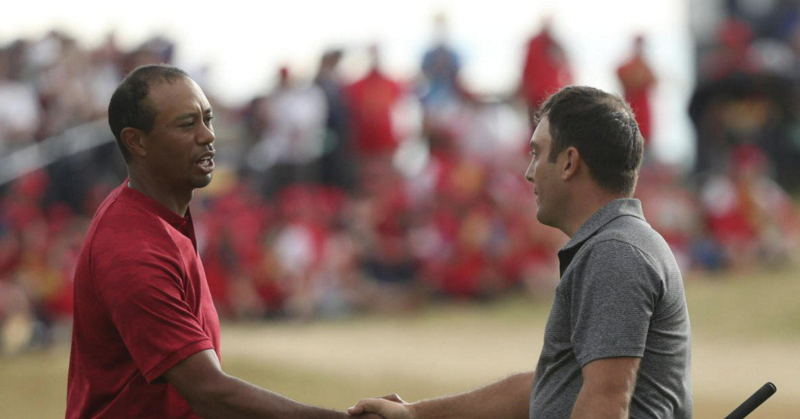 Tiger fought back gamely, birdieing the par-5 14th with an 18-footer after chipping from the adjacent fourth green, but his playing partner, Francesco Molinari, answered with a birdie of his own to grab control of the tournament at 7 under. In fact, despite all the fan and media hustle and bustle around Woods, Molinari was a bogey-free rock who never once blinked or backed down. He was as worthy a champion as Carnoustie has ever seen, Ben Hogan included, even though the central discussion afterward revolved around Woods and what this near-miss means in the short and long terms. Woods is going to win at least one more major, a point that was made in this space after he missed the U.S. Open cut at Shinnecock Hills. It might not happen at next month’s PGA Championship, and it might not happen next year at two of his cherished arenas, the Masters at Augusta National, and the U.S. Open at Pebble Beach. But it’s going to happen at some point — and sooner rather than later. In fact, for a time on Sunday, McIlroy thought Woods was going to win. “My mindset was go and spoil the party here,” the Northern Irishman said. I wouldn’t say we’re worried about him. Someone might want to tape that quote to Tiger’s fridge. 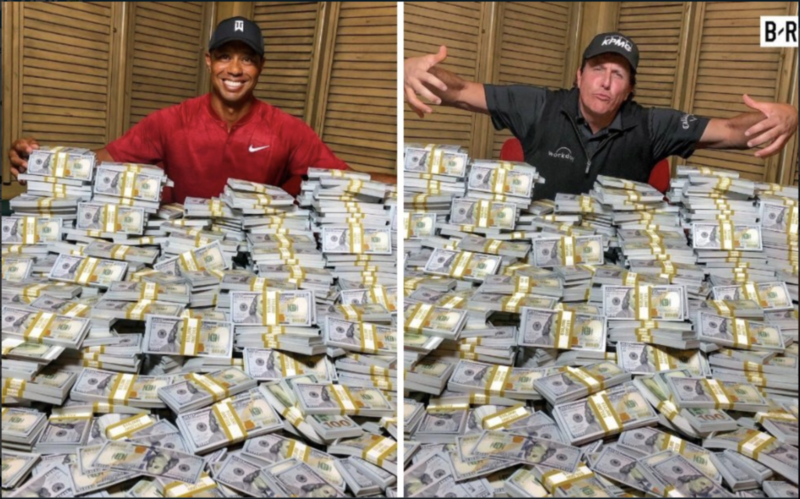 Things like what Woods did Sunday, when he gave away a major that was very much in his hands. On the 18th tee, after nearly sinking his chip shot on the penultimate hole, Woods was distracted in his backswing by a screaming fan apparently holding a considerable cup of beer. “No, what are you doing?” a wincing Tiger said toward the crowd after he finished his one-armed follow-through. Woods hit a perfectly fine drive, anyway, and then a perfectly fine approach to 6 feet. He removed his cap and waved it to the roaring masses as he took the bridge across the burn, and then again after he missed for birdie and settled for a 5-under score, 3 strokes south of Molinari’s. Woods congratulated the winner, and then found his son, Charlie, and his daughter, Sam. “Hopefully, you’re proud of your pops for trying as hard as I did,” Tiger told them. They hugged their old man, squeezed him as if they didn’t want to let go. Except actually win it, of course. 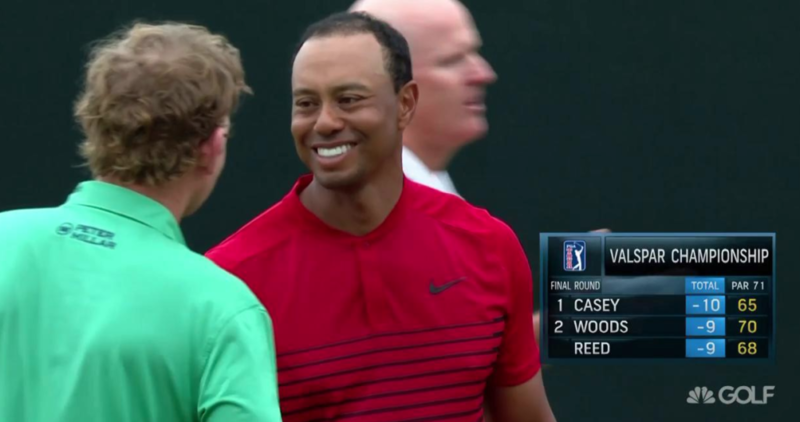 That’s OK. Woods will never again be the Tiger of the early to mid-2000s, back when golf fans were sure he would blow past Jack Nicklaus’ record of 18 majors and win himself 20 to 25. But Woods has already shown that he can regularly compete in tour events, including majors. He’s already shown that the Spieths, McIlroys, Dustin Johnsons, Justin Thomases and Patrick Reeds will have to worry about him on a consistent basis, whether or not they care to admit it for public consumption. “It’s still great for golf,” McIlroy said of this Tiger resurgence. It’s even greater for Woods. He should now be finished re-educating himself on how to win, and he should be ready to resume his pursuit of the Nicklaus grail. But Sunday was as much about the agony of defeat as it was the ground gained in recovery. When it was over, Woods said he planned to talk to his good friend Serena Williams about winning and losing and life. With his children in tow, and Charlie wearing a red “Love the Haters” T-shirt, Woods crossed a bridge from the news conference area to the clubhouse and disappeared just like that. The good news? 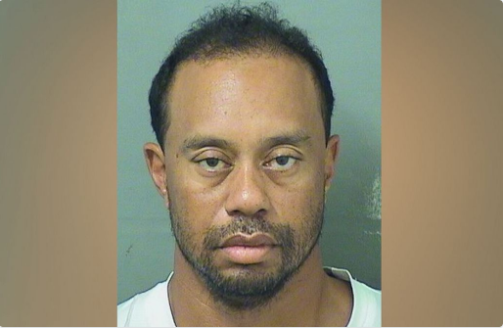 Count on Tiger Woods reappearing very soon as an aging, balding badass in red.